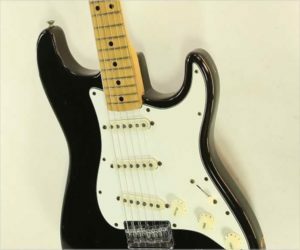 This Fender Stratocaster guitar features the classic finished one piece Maple neck, with the new from 1971 3-bolt MicroTilt neck and hex-key ‘Bullet’ truss rod adjuster at the head. The MicroTilt and Bullet adjuster are extremely practical features, allowing rapid adjustments to the guitar’s setup, without disassembling it. 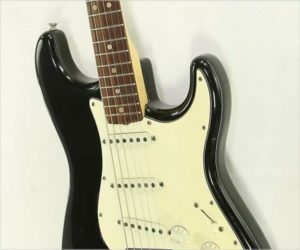 Many earlier Fender models have damaged pickguards from truss rod adjustments with the neck on – a flat screwdriver would frequently be used and dig into the pickguard.